The list of ideas for easing heartburn is long and filled with home remedies, many unproved. But one of the simplest, chewing gum, may be among the most effective. Heartburn results from digestive fluids’ traveling from stomach to esophagus in a process known as gastroesophageal reflux. When scientists set out to study whether this could be countered by chewing gum, they assumed the answer would be no. Instead they found that the saliva stimulated by chewing seemed to neutralize acid and help force fluids back to the stomach. In a study published in The Journal of Dental Research in 2005, researchers had 31 people eat heartburn-inducing meals and then asked random subjects to chew sugar-free gum for 30 minutes. Acid levels after the meals were significantly lower when the participants chewed gum. Another option is antacid chewing gums. One study in 2002, by scientists at the nonprofit Oklahoma Foundation for Digestive Research, found that antacid chewing gum was more effective after a meal than chewable tablets. Studies show that chewing gum after a meal can significantly reduce the severity of heartburn. 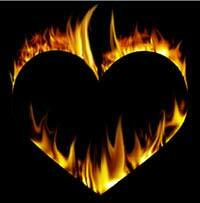 You may also wish to see our article on heartburn remedies.